Ps. have you entered the Creative Contest ft. El Corazon yet? Check it out here! 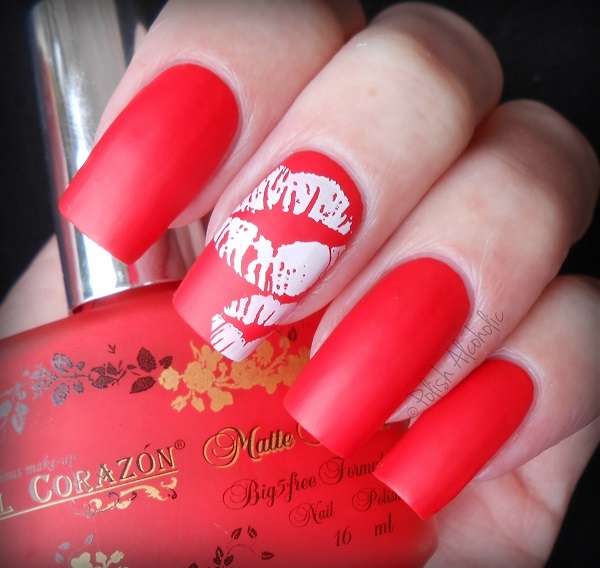 Check out more El Corazon polishes at their website and at Hypnotic Polish. You can find MoYou plates there too! Get connected with El Corazon on Instagram. Here’s a look at my super bright red matte nails: This is a serious pigmented red! 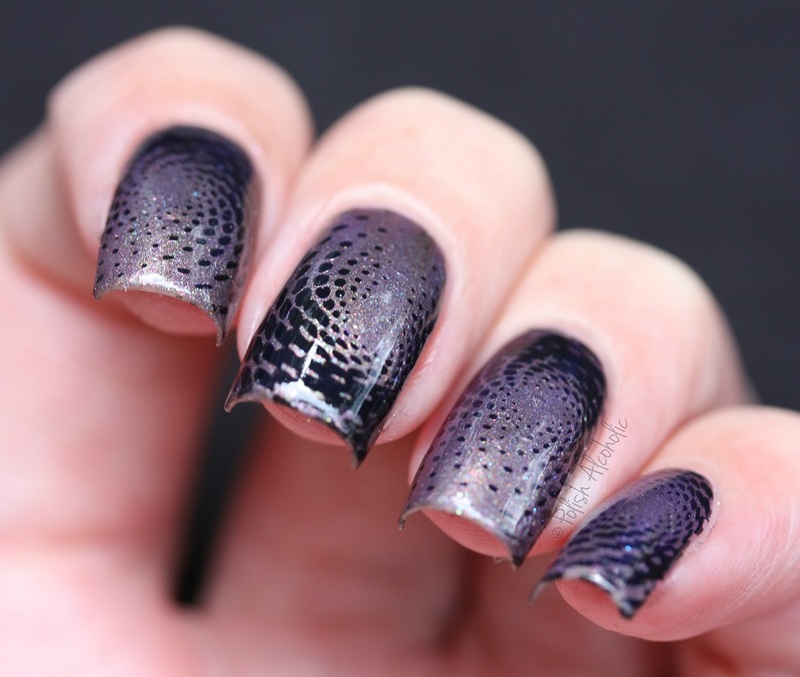 I applied two coats, no top coat here. Loving how insanely bright this is! And since it’s Valentines Day I added some kisses on the nail of my ring finger. 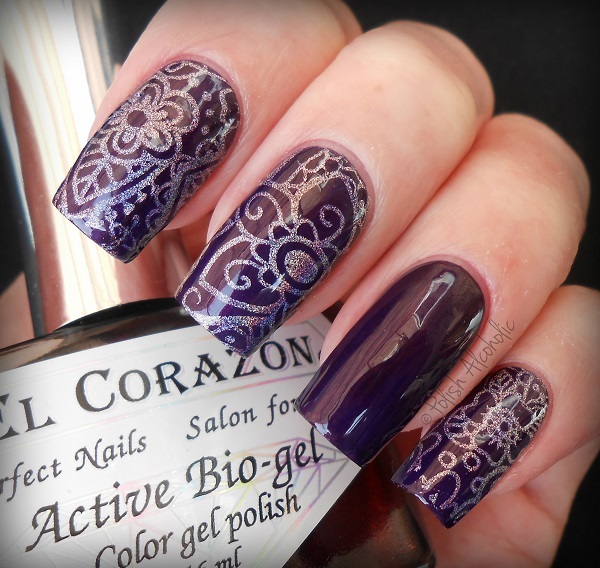 For that I used Bundle Monster stamping plates BM303 and BM02 plus white stamping polish by Konad.